Aspley Devils Netball Club runs a NetSetGO clinic for children ages 7, 8, 9 and 10 years. The 2018 clinic commences Saturday 13 October and will run each Saturday for eight weeks. The clinic will be held between 8-9am at Craigslea State High School netball courts. Entrance to the courts is off Maundrell Terrace, Chermside West. 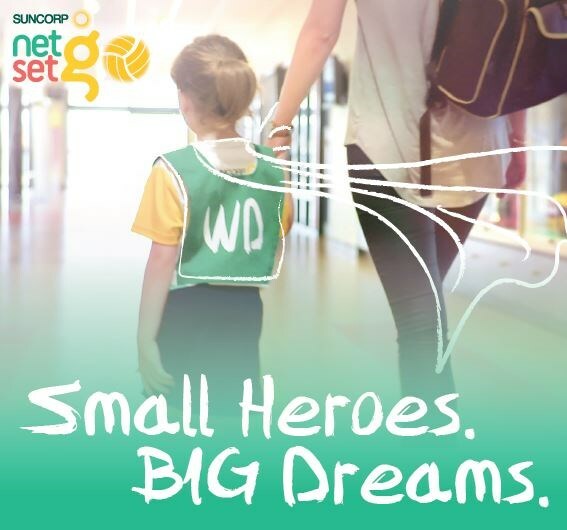 Suncorp NetSetGO is Netball Australia’s only junior entry netball program. It has been developed to provide children with the best possible learning and playing experience to develop a positive introduction to netball, ensuring enjoyment and continued participation. Suncorp NetSetGO incorporates skill activities, minor games, and modified matches in a fun and safe environment. The program is coordinated by accredited coaches to ensure a quality experience for all participants. All registered NetSetGO participants will receive a Size 4 Gilbert netball, a Suncorp NetSetGO T-shirt and a participation medal. They will also be covered by insurance through the National Risk Protection Program. It has been developed to provide children from 5 to 10 years with the best possible learning and playing experience to develop a positive introduction to netball, ensuring enjoyment and continued participation. The program consists of 2 tiers – “Net” and “Set”. The ages mentioned with each tier above are not strict, more of a guideline for centres and coaches. The tiers are briefly explained in the image above. For more information visit the NetSetGO website.